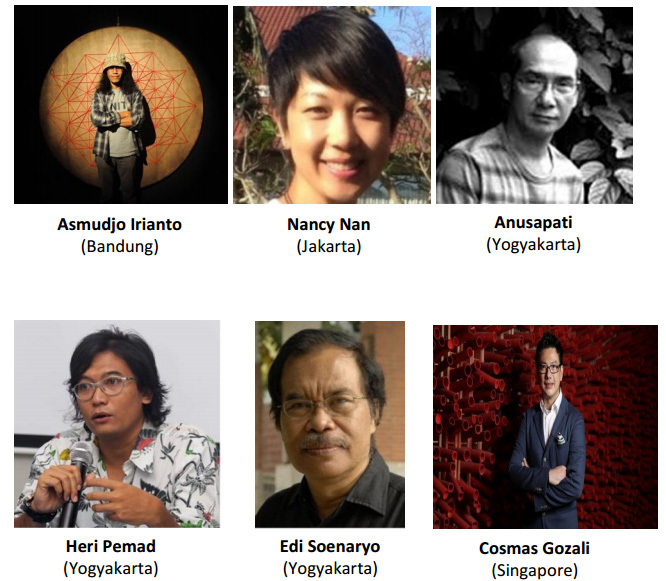 The context of poor art infrastructure and lack of support from governmental institutions on the development of local contemporary art practices, the Young Artist Award sets itself as a career assistance for young Indonesian artists from different visual artistic backgrounds, looking by the monotonous of Indonesian art, specially Yogyakarta, we hope this event will motivating young artists to explore fresh and innovative ideas. . The award wishes to encourage novel visual art practices and to create visibility and opportunities for the winning artists in developing their careers. 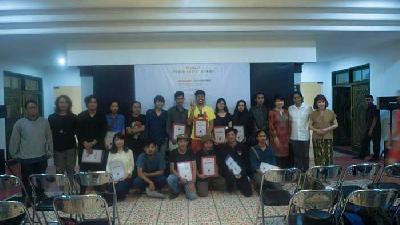 The Award is fully covered by the personal funds of the Founder and does not benefits from a sponsorship. Selected by a legitimate jury, the award will be offered to five young and emerging artists working with different media. 1. Anang Saptoto (b. 1982, Yogyakarta - Indonesia)graduated in 2005 from ADVY (Visi Yogyakarta Design Academy), Indonesia and in 2009 he graduated from ISI Yogyakarta -Indonesia. 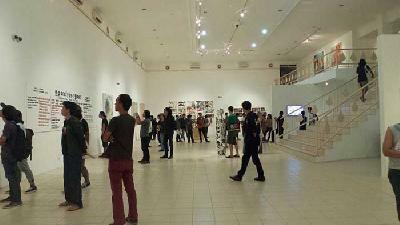 He was a finalist of 25 Best Artworks at BaCAA #2 (Bandung Contemporary Art Award) 2012. Anang is known for using anamorphic technique in is mural works, being commisioned for mural works in Indonesia and Singapore at the National Gallery. 2. ArgyaDhyaksa (b. 1991, Jakarta- Indonesia) is a graduate from ITB (Bandung Institute of Technology), Faculty of Art and Design, Ceramic Art Major in 2013. He is known for his playful, whimsical yet cynical artworks. 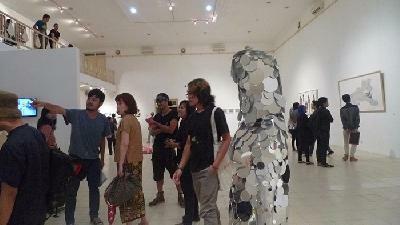 In 2016 he joined several group exhibition - "Neglected Ordinaries" at REDBASE Foundation in Yogyakarta, or "Bipolarity/Multipolarity" at Langgeng Art Foundation, among others. 3. RegaAyundyaPutri (b. 1988, Surabaya - Indonesia) graduated in 2012 from ITB (Bandung-Indonesia) Faculty of Art and Design, Fine Art: Sculpture Major (B.A), and Graduated in 2014 for her Magister also at ITB (Bandung-Indonesia), Fine Art Major. 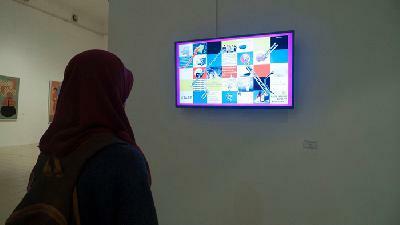 She was a finalist from Soemardja Art Award 2012 and a finalist of AnugerahMusik Indonesia's Best Album Artwork. 4. DedyShofianto (b. 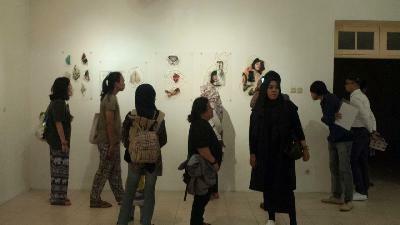 1991, Jambi - Indonesia) graduated in 2015 from ISI Yogyakarta, Indonesia, Faculty of Fine Art: Craft Major. He was a winner at Craft Prototype Design, in 2013 and 2014. 5. YudhaKusumaPutera (b. 1987, Magelang - Indonesia) graduated from ISI Yogyakarta - Indonesia, Photography Department in 2012. Also known as Fehun, he is an active member of MES 56. In 2015 he undertook a residency at Cemeti Art House and recently joined a residency in OCAC Taiwan. 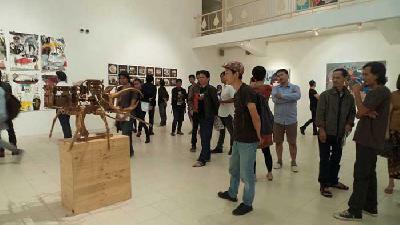 He participated in group exhibitions in Indonesia and aboard such as Hong Kong, and Australia.